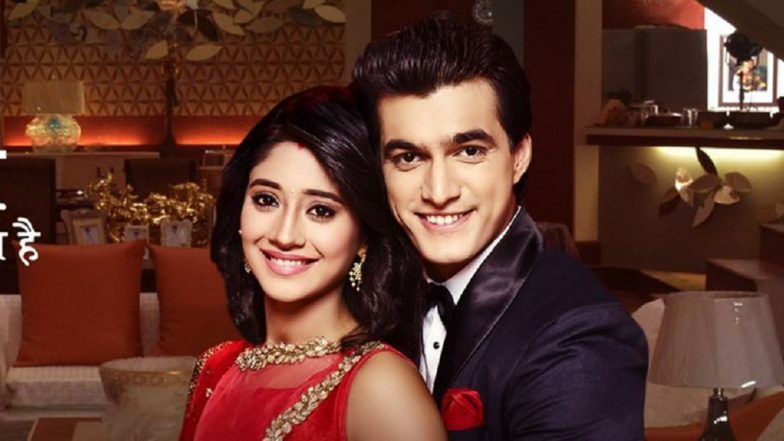 Today’s episode of Yeh Rishta Kya Kehlata Hai starts with Naira (Shivangi Joshi) telling Suhasini that what she was going to do was a sin and that she stopped it from happening. Suhasini gets emotional and hugs Naira and cries as she realized her mistake. Suhasini says she just thought of her family and didn’t think about the unborn baby. Suhasini says sorry for what all she told to Naira and tells that she is a wonderful human being who thinks about everyone. Naira tells that there is a surprise for them and calls Gayu and Samar to come out. Seeing them all get happy, Naira says they had told a lie so that everything should be proper. Kartik (Mohsin Khan) tells lets starts the engagement ceremony. There Naira thanks Purushottam for his help, Illa also comes and tells that her father is the best and tells she is proud of him. Purushottam tells Naira to join their company and that he will be happy if she does. Meanwhile, all enjoy and dance in the engagement function (tere hui mere zindagi tere hui track is played in the background). Manish tells Suhasini to accept Gayu with her full heart and not to worry about anything. As all dance Purushottam tries to come near Naira and touches her, Mansi sees this and pushes him away and throws his camera and shouts at him in anger and tells that she will not allow Purushottam to do with Naira, what he did to her and tells all that he used to molest her when she was a kid. Just then Rama comes and pushes Mansi, she comes out of her dream, she was just dreaming that she should do this. Meanwhile, at night Kartik sees Naira under her blanket and ask what is the matter, Naira says that she is preparing for the presentation and it is very confusing. Kartik encourages her as she can do anything and tells her not to worry and goes to make a coffee for her. Next day morning when Naira gets up late, Kartik comes and tells her to get ready as he prepared everything for her. Kartik helps Naira while she works and encourages her by saying that she can do it. In the precap, As all are busy in preparing for Samar’s wedding, Purushottam tells that he has to take Naira with him to show the presentation, Naira has a feeling that his intentions are not good.